AS-B is the installers dream for any mid sized retail, bar and restaurant installations. 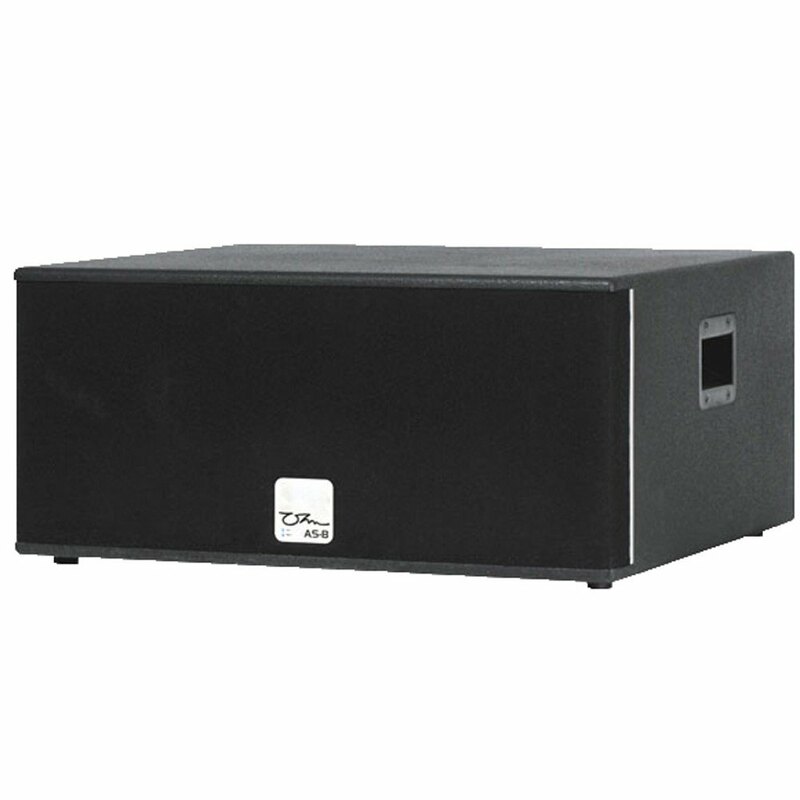 The biggest active subwoofer for commercial applications in the range. It is a cost effective active cabinet incorporating two addition amplifiers to feed small top cabinets, like CT-6 or CT-26. Discrete controls on the back of the sub enable the installer to optimise the system to match the loudspeakers and the clients requirements and are then nicely out of the way of tampering staff or customers. Front panel LED displays keep the customer aware of the status of the system whilst a clever auto on/off feature automatically powers the system down following a prolonged no signal present. AS-B subwoofer’s low frequencies are reproduced with two 10″ drivers fitted into a reflex loaded enclosure. 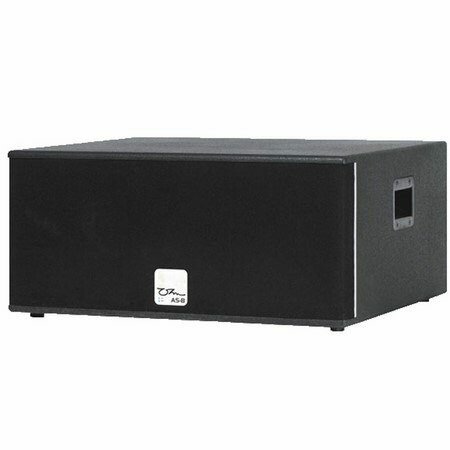 This active subwoofer has a built-in three channel amplifier, 300 Watt channel for the sub and 2 x 200 Watts (4 ohms) channels take the top cabinets. There is a passive crossover for the top cabinets. The rear panel features an input and daisy chaining options as well the control switches. The control section provides input sensitivity switch, phase reverse, bass gain, crossover frequency, mid high gain, auto power and earth lift. The auto On/Off feature automatically shuts the amplifier down if signal is not present after a period of time. Remote power LED’s on the front of the cabinet identify the status of the power amplifiers.